Remote Control technology is the production of 19th century. The earliest remote controlled invention is radio-controlled boat which exhibited in the electrical exhibition at Madison Square Garden in 1898. Soon after that, the remote control technology has been applying to many experimental objects and all received the excellent results. From the early television remote controls to remote controlled toys, the sales performance had witness the success of the inventor and the inventions itself. Remote-Controlled Lock is one of the newest designs of remote control products, which won warm praise from customers since it was popularized. The intelligent locking technology had also been adopted by a number of manufacturers in exploiting new products. 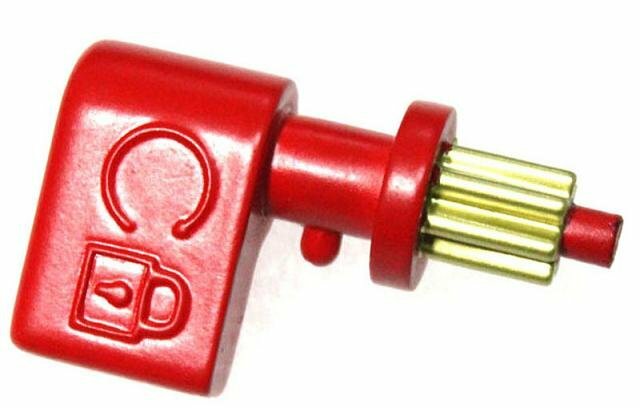 With manufacturers constantly paying their attention to the exploitation and development of new products, the market of remote-controlled lock has extent to several industries such as Auto Door Lock and Gate Lock. However, the pre-production assessment of feasibility and applicability is always crucial to the quality of each product, which demands the support of prototyping suppliers. Now, let’s have a look at the production process of Remote Lock Prototype which is displayed below. This is the prototype of a Gate Remote-controlled Lock. For overtime workers, remote-controlled locks allow them to open the door without rummaging for keys in the bag, especially when is in the dark hallway. 1. 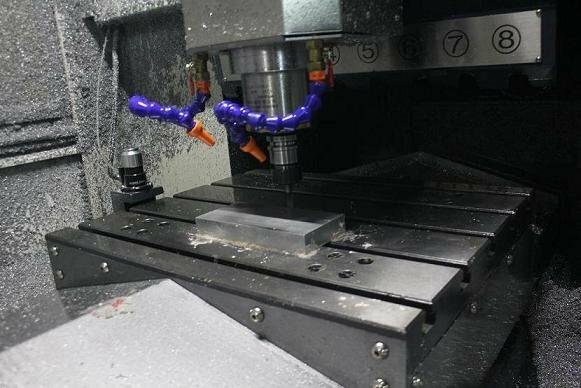 CNC Machining: Basically, these Remote locks are made of metal, therefore CNC vowin.cn/en/News/news1251.html' target='_blank'>machining is the best choice for shaping the outer case of the lock. The spindle of the CNC machine will be guided to the designed locations and depths of the material according to programmed commands. Then, the basic shape of the prototype can be done by the CNC vowin.cn/en/News/news1251.html' target='_blank'>machining. 2. Hand Debarring: Hand debarring is necessary for metal parts we finished at CNC machining. In this case, elaborate edges and curves need to be delicately debarred under a microscope and larger parts need to have material removed with sanders or grinders. 3. Painting: Painting is a process of beautifying the prototype. The operator will paint the object with the most suited paint material, painting methods, and related painting tools. The color is also mixed according to the Panton standard. 4. Electroplating: A process that uses electric current to reduce dissolved metal cations so that they form a coherent metal coating on an electrode. Electroplating is primarily used to change the surface properties of an object for the purpose of abrasion and wear resistance, corrosion protection, lubricity, aesthetic qualities, etc., but may also be used to build up thickness on undersized parts or to form objects by electroforming.